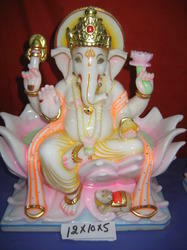 We are offering Ganesh Statue On Lotus to our clients.This is 12 Inch in PURE WHITE MARBLE. 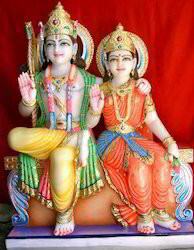 WE do carve Shri Ram Ji & Sita Maa sitting together on SINGHASAN in pure white marble and as well standing pair ... we can also do with entire Family of Ram Ji in one piece in pure white marble as per order in customized carving . 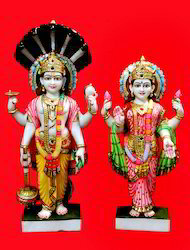 WE can offer customized carved pair of Vishnu Luxmi in their any styles in Pure white marble. 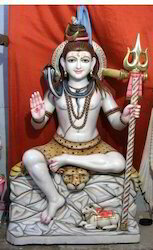 We carve in Pure white marble Shiv Ji in all His postures & sizes as custom made as per sizes. Prices vary with sizes required. Our company has set a benchmark in the field of manufacturing, exporting and supplying top notch quality Ganesh Ji & Laxmi Ji Statue. 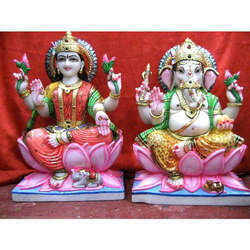 These statues are acknowledged in the market for its superior quality & finish. Our given statues can be customized in accordance with the customer’s choices. As well, our valuable clients can purchase these statues at pocket friendly prices. WE will provide in top quality pure white marble of Makarana and prices will vary with change in sizes and marble used. Assisted by the creative bent of mind, we are offering the most attractive range of Kali Maa Statue on Shiv. Our kali maa statues are designed under the leadership of accomplished artisans using immaculate quality material according to the standard of the market. 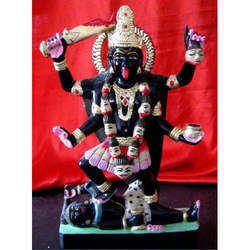 These kali maa statues are checked by quality experts so as to supply defect free range to customers. 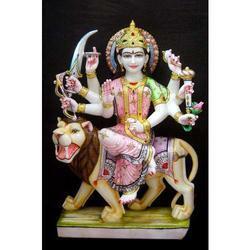 Offered kali maa statues are available in numerous sizes & shapes as per the need of customers. We bring forth for our clients an extensive collection of Iskon Ram Darbar Statue. 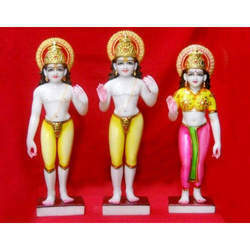 Well known for its exquisite finish & attractive look, the offered ram darbar statues are designed from the best quality material & modern techniques as per the standards of the market. Preceding dispatch, offered ram darbar statues are checked by our quality controllers before supplying in the market. Shop No. 32, Shopping Centre -II,Mayapuri Industrial Area, Phase-1, Near IndianOil Petrol Pump,Main Road.